THE HAGUE - Gregory Elias, who acts as an advisor for the wealthy Dutch who wants to hide their capital for the tax services, emphatically denies that he has frequently used Panama’s company, Mossack Fonseca. According to leaked Panama Papers last year, Elias helped rich clients evade taxes. According to Elias, only a handful of his customers have been in contact with Mossack Fonseca. If he or his company already exists in those documents, he believes that it is because others corresponded about it. 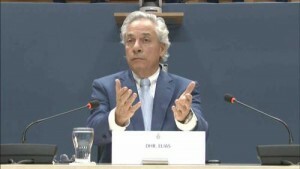 Elias was the first person to be heard as a "witness" in the parliamentary mini-survey on tax evasion. The parliamentary committee has so far spoken exclusively with 'experts', such as employees of the Tax Administration. Everyone who hears the committee is under oath.